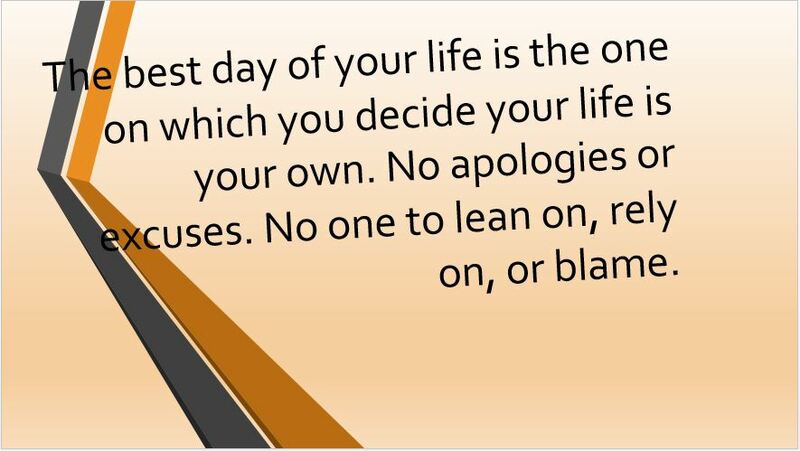 The best day of your life is the one on which you decide your life is your own. No apologies or excuses. No one to lean on, rely on, or blame.